Bengaluru: The state-run buses were targeted during the Bharat bandh called by central trade unions (CTUs) on Tuesday. Miscreants pelted stones at Bangalore Metropolitan Transport Corporation’s (BMTC) six buses. 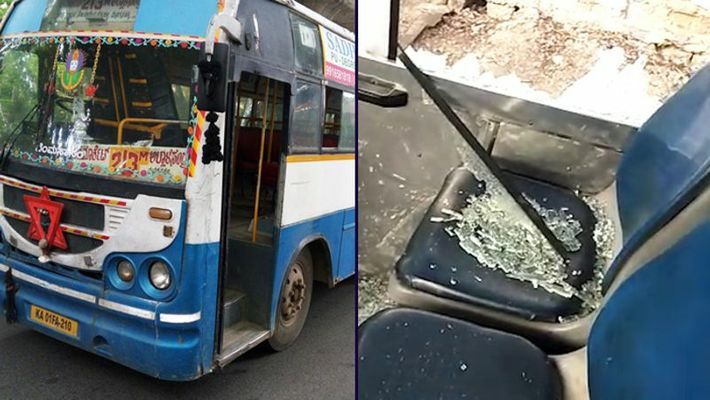 "Window glasses, front glasses and rear door top glass in six BMTC buses were damaged. The stone-pelting incidents have been reported from Sheshadripuram, Malleshwaram, Nelamangala Yashwanthpura and Avalahalli police limits and the total cost to fix the damage is Rs 22,159. Following the incidents, we had to stop services in those routes for some time and resumed later," a BMTC official said. Following this incident, the BMTC has decided to run the buses only on public demand and under police protection.